Home EXERCISE & TRAINING TIPS DO YOU REALLY NEED A PERSONAL TRAINER? Think PTs are just for celebs, newbies and people with money to burn? Think again. Whether you’ve lost your enthusiasm to train, have stopped seeing progress or just want to mix things up, a qualified professional may be able to offer you just what you need to smash your goals. Tossing up whether or not to try Personal Training? Nothing can stifle your results in the gym quite like poor form. Firstly, it can easily result in injury – a sure-fire gains killer! Secondly, you could be busting out set after set but unless you’re using proper technique you may not experience the gains you’re hoping for. Even if you’re not a complete novice or you think you know what you’re doing, an experienced PT can offer expert knowledge when it comes to proper form and tweak your technique to ensure you get the very most out of your workouts. If you’ve been stuck half-assing it through your own training sessions, a PT will truly kick you into gear and help you achieve more than you thought you were capable of. Just when you think you’re spent, a PT will push you to bust out 2 more reps you didn’t know you had in you. It’s all about accountability. If you’re guilty of skipping workouts on the regular, a PT will keep you in check. There’s no cancelling on your PT in favour after-work happy hour or an extra 45mins in bed. Not only have you paid good money for that session, but you’ll have to explain to your PT why you’re blowing off their training to work on your beer gut rather than your biceps. And no, picking up a schooner glass doesn’t count. It’s time to break through that plateau. If you’ve been working out consistently for weeks – or even months – and just not seeing the results you want, a qualified trainer can take it up a notch for you. A PT can dissect your current training approach, assess where you’re going wrong, change things up to shock your system and ensure you have a challenging training program best suited to your goals. Coming back from an injury? Don’t just sit around losing your strength, or risk further injury trying to keep up your current gym routine. A PT will have the knowledge, understanding and hands-on experience to formulate a specific training program that will allow you to exercise safely, keep your range of motion throughout recovery and get your strength back. 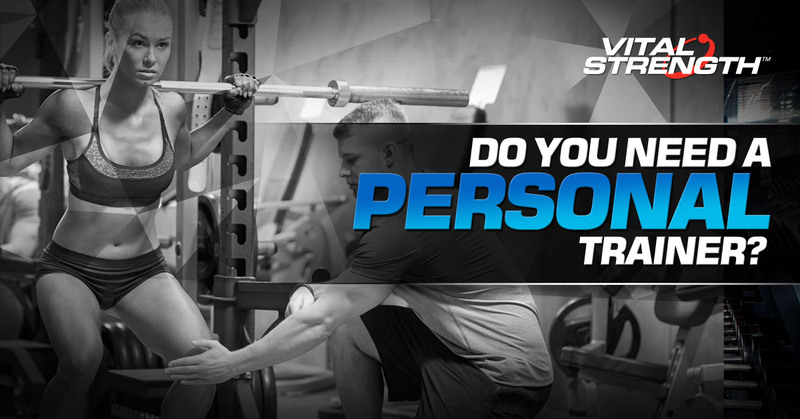 If you’ve never considered it previously, don’t overlook the value of a good personal trainer. Whether you’re just starting out or need to kick things up a notch, a PT could be the key to results you’ve been dreaming of.